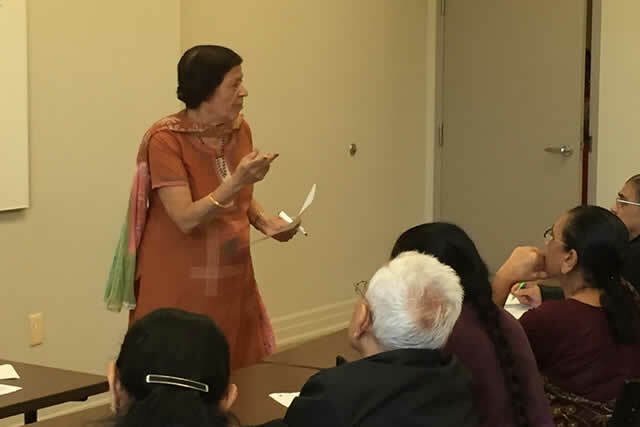 SMCC conducts English classes to seniors. 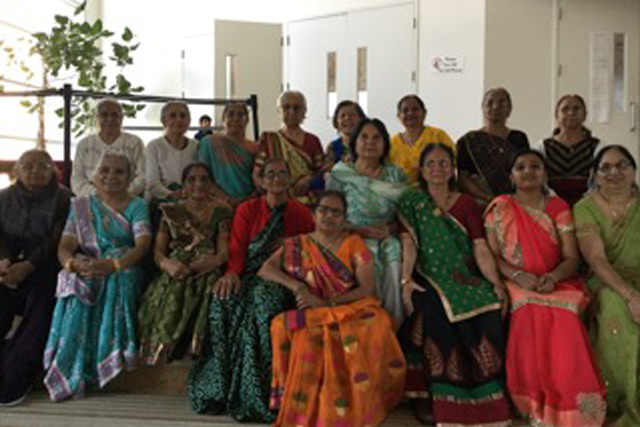 Seniors' classes includes communicating with non-Gujarati speaking people and finding their way around like bus service, banking, directions, etc. 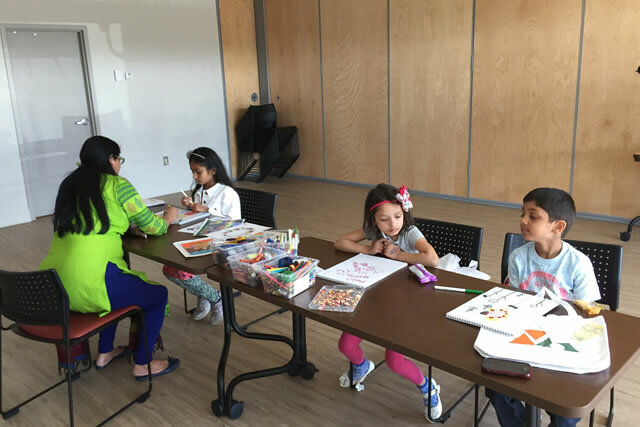 Classes are held on Sundays from 10:30 a.m. to 12:00 noon. Over 50 seniors have completed the course. 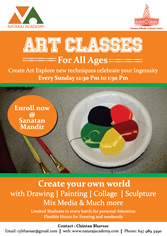 Create your world with paint, craft, clay, mix media and much more!!!!!! Arts classes are conducted at SMCC for all age groups on Sundays from 10.30am - 2.30 pm. SMCC free yoga classes started in 2005. 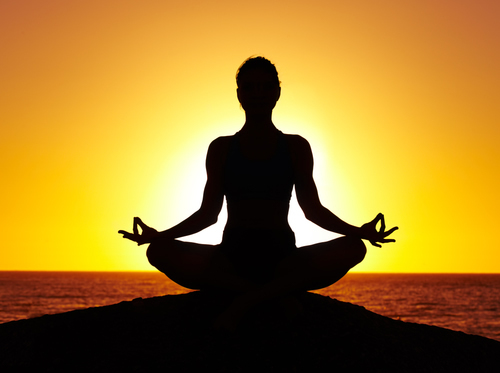 Over a period of 10 years, more than 200 devotees learnt yoga. 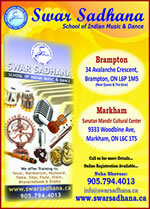 Classes are conducted by teachers trained by Pujya Ramdevbaba. 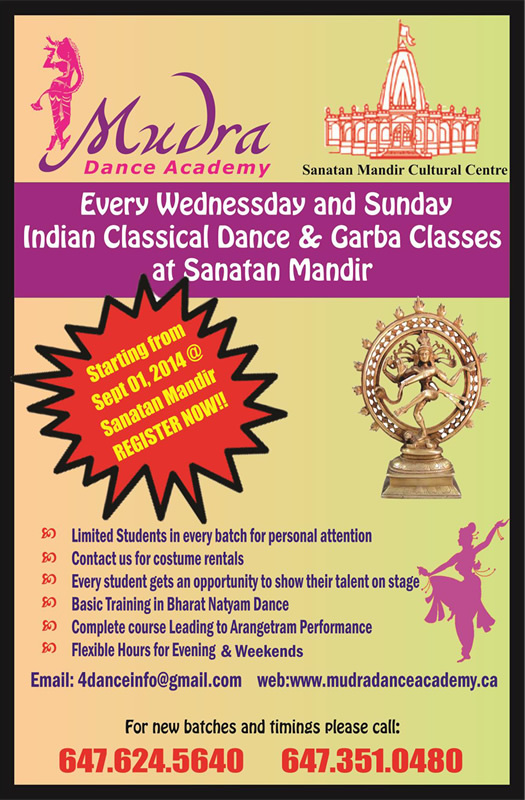 Classes conducted at SMCC on Wednesdays from 5:30 to 7:00 pm. 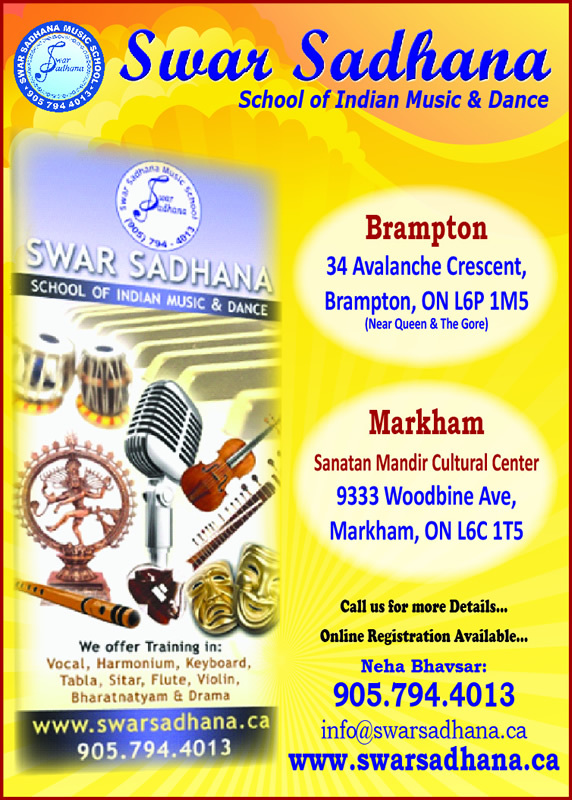 Computer classes are held on Sundays from 10:30 am to 12:30 pm for our seniors in our new education wing at Sanatan Mandir Cultural Centre. Basic skills are taught to make seniors independent in their day-to-day activities such as, learn use of computer to keep in touch with their friends and relatives, read newspapers and magazines on internet, do video chats and write e-mails in Gujarati and send and receive photos and videos. The class is conducted on Sunday morning. Over 150 seniors have graduated from this class and received acertificate. કોમ્પુટરના પ્રાથમિક શિક્ષણનો હેતુ સનાતન મંદિરમાં આવતા આપણા વડીલોને કોમ્પુટર વાપરતા શીખવાડવાનો છે જેથી કરીને કેનેડામાં વડીલો આત્મ સભર બની શકે અને પોતાની જીવન જરૂરીઆત કોઈની મદદ વગર પૂરી કરી શકે. આ વર્ગમાં 150 જેટલા વડીલોએ અભ્યાસ પૂરો કર્યો છે. આ વર્ગમાં તેઓ પોતાની ઈ-મેલ આઈડી બનાવી મિત્રો અને સબંધીઓને ગુજરાતી અને અંગ્રેજીમાં સંદેશ મોકલી શકે છે, સાથે ફોટા, વિડીઓ અને ડોક્યુમેન્ટ પણ એટેચ કરીને મોકલે છે. ઈન્ટરનેટ પર જઈને પેપર વાંચી શકે છે, જરૂરી માહિતી મેળવી શકે છે તથા ક્રિકેટ, નાટક અને મુવી પણ જોઈ શકે છે. આ ઉપરાંત તેમને માઈક્રોસોફ્ટ વર્ડ અને એક્ષેલ વાપરતા પણ આવડી ગયું છે. ખાસ કરીને SKYPE નો ઉપયોગ કરીને દુનિયામાં ગમે ત્યાં વાત કરી શકે.